Helping women unlock and unleash their innate feminine power. This book teaches women how to shift their mindsets – both on a collective unconscious level and the conscious level – to reignite their state of power and visibility at work and at home. This book draws on the notion of the collective unconscious – a set of guiding principles that is passed down in society from generation to generation to us. We are born into these subconscious guiding principles that influence our individual choices, whether we know it or not. It’s deep, structural programming that we don’t see, but that guides our feelings, decisions, and behaviors. We also have programming that we are aware of that we’ve learned from our interactions with our environment. Yet, even the beliefs and behaviors that we are conscious of and feel we can change easily are impacted by the collective unconscious. 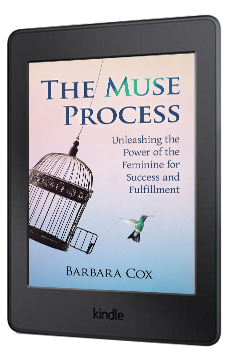 Want to learn more about The Muse Process? 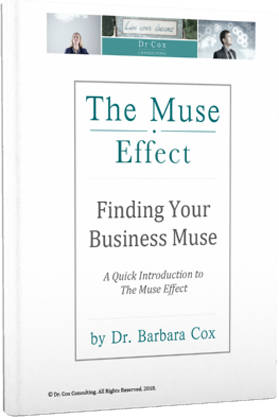 Sign up to receive your free copy of Finding Your Business Muse: An Introduction to The Muse Process. Get special access to a few tools from The Muse Process right now! These activities are part of the Focus Points Exercise in the book, but work well as stand-alone activities, too. There are several acupressure points on the body that can help calm your mind and shift your mindset naturally. 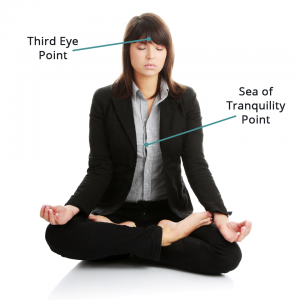 You can use these two points to quickly a reach calm and focused state of mind. You can hold these points with your eyes open or closed. The first point is called the Third Eye Point. This point is located between the eyebrows, basically in the indentation where the bridge of the nose starts. You place any finger at the point between your eyebrows and press with gentle pressure for approximately two minutes. Focus your attention on this point as you hold it. The second point is called the Sea of Tranquility Point. This point is located on the center of the breastbone. You can place three fingers vertically at the center of the breastbone to ensure you are contacting the correct point. Hold this point with gentle pressure for about two minutes. Focus your attention on this point as you hold it. 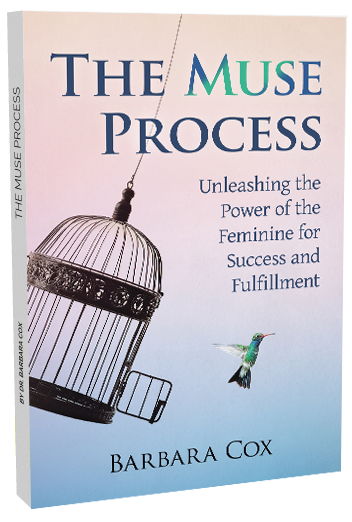 Get special access to a few tools from The Muse Effect right now! These activities are part of the Focus Points Exercise in the book, but work well as stand-alone activities, too. Barbara Cox, PhD, is a consultant and coach for women who want to move their careers and lives forward, whose advice has been featured in local and national publications, including MSN.com and Cosmopolitan, and has been a guest on local San Diego TV shows on healthy living. 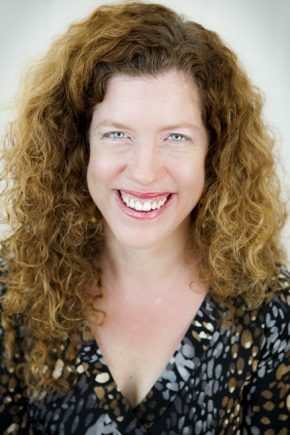 She specializes in helping innovative leaders and organizations through her books, trainings, and personalized sessions that blend positive psychology, Ericksonian coaching, meditation, and peak-performance hypnosis. Barbara writes fiction and non-fiction stories with the themes of individual empowerment, community-building, and personal awakening. Furthermore, Barbara is a Licensed Psychologist and runs her own Coaching practice.